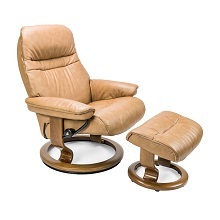 The Sunrise Medium Chair and Ottoman serves as the ideal relaxation spot for reading, resting, and witnessing the beautiful, peaceful moments in life. 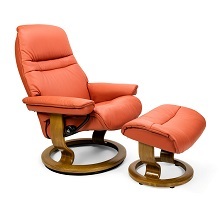 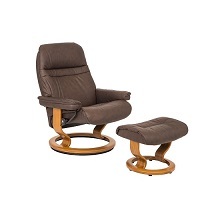 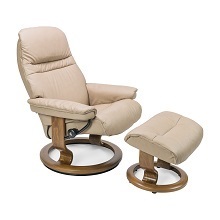 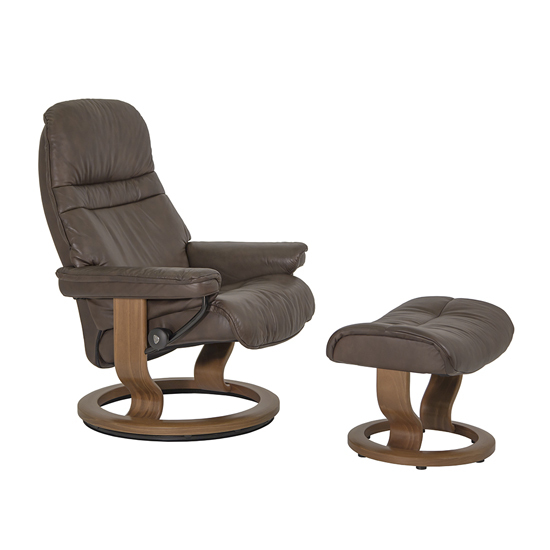 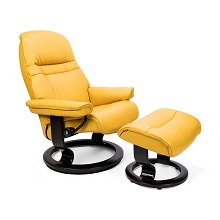 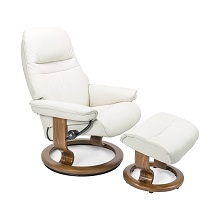 The Sunrise features Stressless Glide and Plus systems, which allow the recliner to adjust to shifts in body movement and weight and deliver full support to the lumbar spine. 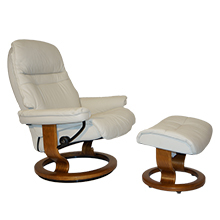 Size: L 31 1/4"W 28 3/4"H 41 1/2"